Your students will enjoy discovering how water has changed the area over millions of years. They will play games, handle artifacts and explore activities such as digging a tunnel and building a dam, plus lots more! Explore our interactive exhibit on New York City’s Water Supply System. See water contaminants under a microscope, make water dirty and clean it up. Learn about watersheds and the importance of clean water. Experience the losses of those who had their lands taken to build the water system. Become a Junior Paleontologist and identify fossils of animals that lived here millions of years ago. Discover the power of waterwheels for early industries, such as gristmills and sawmills. 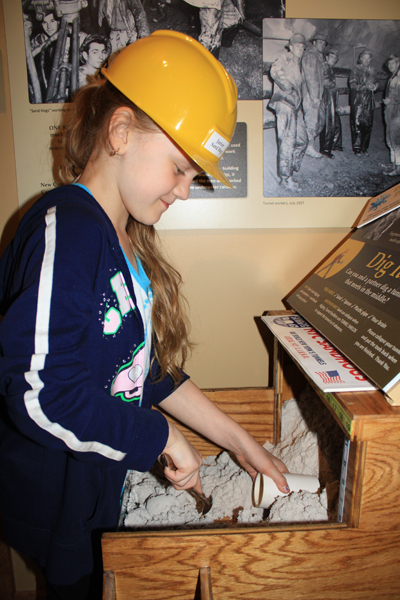 Handle Native and Early American artifacts to discover how they used and transported water. Learn about the importance of clean water, and how water can both create and destroy. Knowledgeable museum educators guide all activities. The program content can be tailored to the interests of a class. All preparatory and follow up materials are included. A lunch area is available – please call for more information. Available Tuesday through Friday, all year round. $4 for Sullivan County Schools! Free admission for Title I schools. All program materials require Adobe Acrobat Reader. If you do not have the Acrobat Reader, you can download a copy – free of charge – by clicking on the Get Adobe Acrobat Reader button. 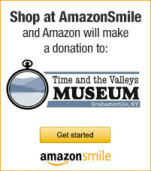 For More Information: Call 845.985.7700 or e-mail the Museum today to make your reservation! This Field Trip Program is made possible in part by the Catskill Watershed Corporation, in partnership with the NYC DEP. Educational and interactive guided tours of the Museum’s current exhibitions are available for groups of 15 or more adults. The cost is $4 per person. Call 845 985-7700 for further information or to schedule your tour.